Be proud that your lawn isn’t treated with chemical fertilizers and pesticides. 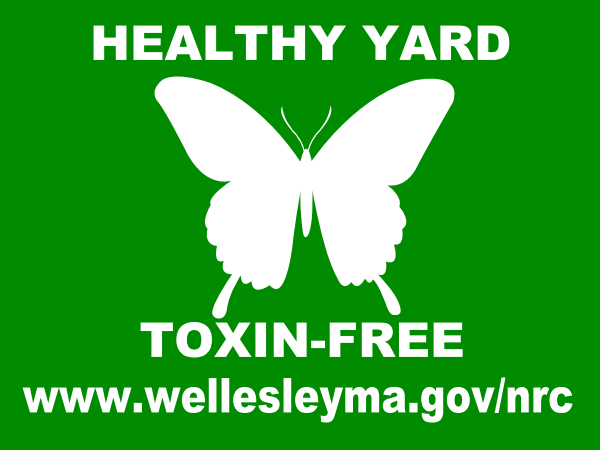 Wellesley’s Natural Resources Commission is offering, as part of it continued Grow Green Wellesley Campaign, these free lawn signs to highlight your healthy lawn this spring. They will even come install it for you. Email them for more information. Want an organic lawn and looking for assistance? Try giving some of these organic landscapers a call.